Subject: New thousand sons Sorceror. This turned up on tg. Subject: Re:New thousand sons Sorceror. Nice find - looking at it there doesn't seem to be any chaos markings. I wonder if this then is the character spruce for the new 30k plastic release that has been rumored. Wow! Looking pretty good, I wonder if he'll be a part of a box set release like Eldrad? He gives off the vive of the Dark Vengeance chosen, plenty of detail but retaining an eye catching aesthetic. It looks like it has the Magnus eye on the right pauldron and the Octed star on the left. I am glad that they didn't go all ornate like they did with the DV boxset as although the minis are beautiful it looks a bit odd when they are amongst my normal chaos bods. Holy crap. Need to see it built but it looks fantastic so far. That's not the octed, that's their legion symbol. Also if you look at the first picture in the bottom right corner. That's MkIII armor. The helmet is looking away from us but you can clearly see the face place "grill". My guess is that's a dead Space Wolf for someone to stand on. My bad, sorry, I was thinking of the current symbol. So this would be for 30k then. Pre-heresy style armour, Thousand Sons emblem. Definitely a 30k piece. Nice! Edit: is that a dead Space Wolf I see in the corner? Yep dead SW in MkIII armour. MkIII is looking good. Get ready, Prospero Burns a hole in your wallet! I wonder if the Mk III will be generic or 1KSons and SW themed. Still, this model looks fantastic. Feels like themed this time around. Feels like BaC is your gateway drug for 30k. Model looks so good it makes me want to turn to chaos! I assume this will be just like BaC where there is Ahirman and a SW character with an assortment of generic troop choices in MkIII around them that will allow you to buy the bits to make any chapter. Wow, and I normally hate the 1K Sons (they just never appealed to me). Hopefully this bodes well for more Chaos-esque releases that aren't 30k stuff. Nah, I imagine just the characters will be themed. Bjorn the Fell Handed in power armour would be nerdgazmic! A plastic Prospero set... wow, that would be good, wonder if we'll see plastic Sisters of Silence...?!? I'd believe generic as well. They sell legion specific upgrade bits through FW after all. I'm surprised they are putting Sisters and Custodes in the box. 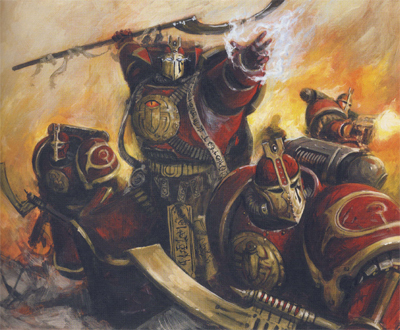 Just seems like they might be better served by coming out with other units that would presumably in the same codex like they have previously. The inclusion of generic kits will make or break this for me. I’m OK with named characters I’ll not use, but the more stuff in the box that’s useless to me, the less it’s value is. I’ve earmarked a large chunk of my hobby budget for it, hoping that it’s full of generic stuff. 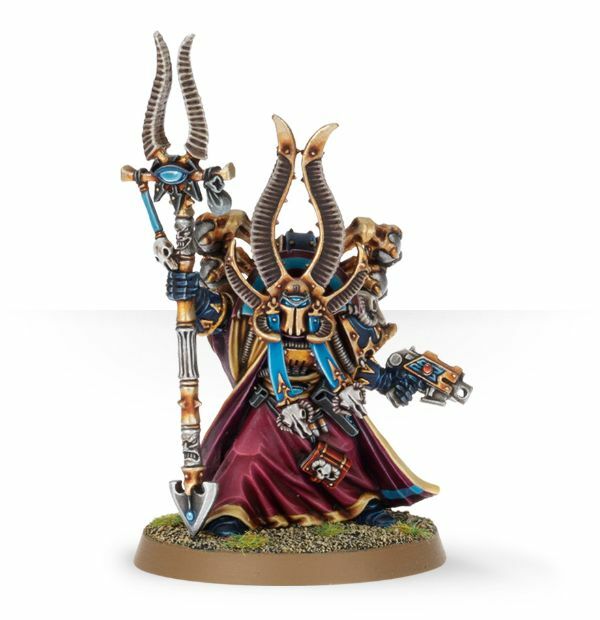 I’d love to get the details, so if it is not worth it to add to my Ultramarines, I can reallocate those funds to some of the other new shiny things that have been tempting me all summer.